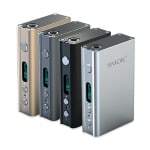 Sorry, Smok XPro M80 Plus Temperature Control Box Mod has been discontinued. New at 180 Smoke, the brand new box mod from Smok Tech, the X PRO M80 PLUS with Temperature Control. This box mod features a temperature control setting, one of the newest innovations in the vaping world. 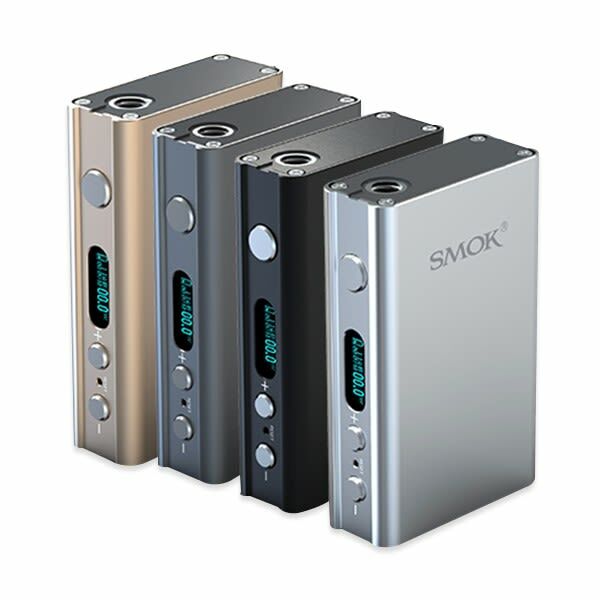 It features a battery capactiy of 4400 mAh that will last a long time (days for most vapers) and deliver a consistent power or temperature to produce large quantities of vapor at sub-ohm or non-resistances. This device contains two non-removable lithium polymer batteries and charges with a handy micro USB charging port so you can even charge it through your computer. Also passthrough charge compatible so you can vape while you charge your Smok M80. It can deliver up to 80 Watts of output power with optional temperature control setting if utilizing nickel coils. There are also a variety of other fun settings that you can play with, like a 'vaping plan' to assist you in quitting smoking. Temperature control is a new innovation in the world of electronic cigarettes that can actually vastly improve the safety of vaping. The temperature control mode allows the user to pre-program a safe temperature at which to heat the atomizer or coil - this ensures that you never get a dry puff (when the wick has gone completely dry) and you can avoid by products as a result. Non-resistance wire like Nickel Wire must be used for temperature control settings; only temperature-sensing coils will be compatible with a setting like this. Otherise the device will function like an ordinary box mod where you program wattage or voltage to output to the atomizer. Ill give this battery a solid 9/10 stars simply because this specific battery is a strong all around device. The 80 Watt capabilities is also a great bonus to it. One thing that makes the M80 a cut above many other box mod batteries is that It is such a convenient and reliable device, especially paired with my Aspire Nautilus tank; it is an exceptional device to bring out to a bar/club or even just vaping at home. The battery life on it lasts a good 4-5 days with ONE charge. Its also simple enough that even intermediate vapers can use it without any problems whatsoever. The ONLY downside of the device is just thats its a bit boxy when in palm, other than that the M80 is a reliable, and powerful device that I recommend to intermediate - advanced vapers.